See your own light and experience that part of you is pure spirit. Open your heart and allow love, kindness and light to flow in from the divine source of love. Open up and culture a change in your thinking. Move forward letting go what is no longer serving your best interest. Feel safe, knowing that you have a Divine guidance. Learn new things that will be beneficial to your mental, physical and spiritual well-being. Trust that He will be next to you illuminating your path as you walk into the unknown. Be grateful for the assistance helping you to trust the process of life and expect the unexpected. You are currently a designer. Your life is your creation. Do you personally know anybody else with a life exactly like yours? While you might not have the life you desire, you were ideal at creating the life you have. Exactly what this suggests is that you have the power to create a brand-new life on your own and do it just as perfectly. Identify with your Power! Acknowledge your power! Claim it! And use it to build the life you desire! 1. Take complete RESPONSIBILITY. The initial step is to take full RESPONSIBILITY for all the difficult as well as good things in your life. Even if some of things you want to change aren't truly your mistake, it is still 100 % your responsibility to change them. Who is else will? 2. Look at your previous successes. Notice all of the excellent things you have actually achieved in the past and just how you brought them to fulfillment. 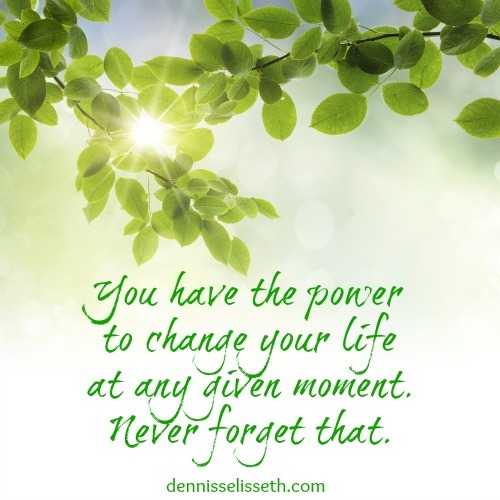 Acknowledge the POWERand the impact you had in your successes. 3. Discover to see failing as a positive (though undesirable) end result. Exactly what have you picked up from past "failings" that can help you eventually succeed in your ventures? 4. Establish brand-new goals. Lots of people live like a feather blowing in the wind, never having a real direction. It is very important to pick your destination. Leaving things to good luck and opportunity is choosing not to use your power at all. 5. Reinforce your goals daily, and they'll come to be a priority over all the other noise in your head. 6. Measure your progression. It is essential to continuously measure where you are versus your goals. If you're uninformed of your progress, you can't make the correct adjustments. 7. Each day, do something to continue towards the life you desire. Ask yourself, "What did I do today to develop the life I desire?". Do you see just how you've been using your POWER all along, however, except for what you truly want? And you will continue to make use of that energy, whether or not you realize it. The genuine question is: Will you choose exactly what you're going to create? The alternative is to count on good luck and situations. Life is way too short, so declare your POWER to develop the life you desire. And use it to build the life you want!